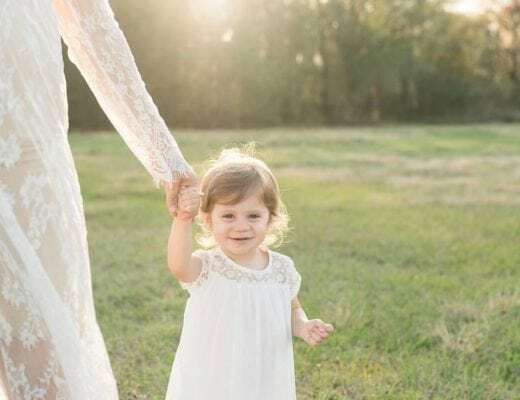 We are in full swing with our homeschooling journey and I am learning so much every single day about what it means to homeschool 3 children. The most challenging part of my day has to be engaging with all 3 of my girls and creating lessons that are age appropriate for each. 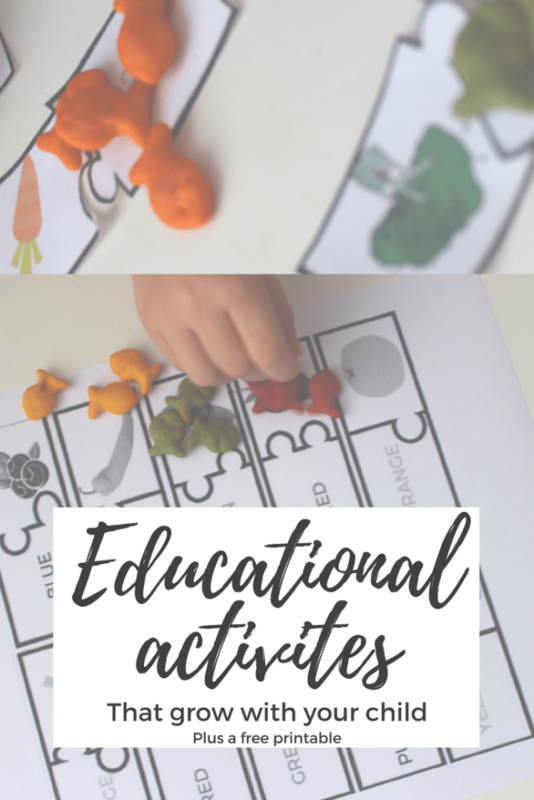 It’s no secret that I am all about play based learning and so I have created 3 fun activities using the exact same printout. I love making the most out of each of this items I use because its all about saving time, am I right? Plus I’ll share how we incorporate a fun snack into our learning and how easy it can be to make snack time a learning opportunity as well. Once they know colors very well and have mastered sorting they are ready to go to the next level. 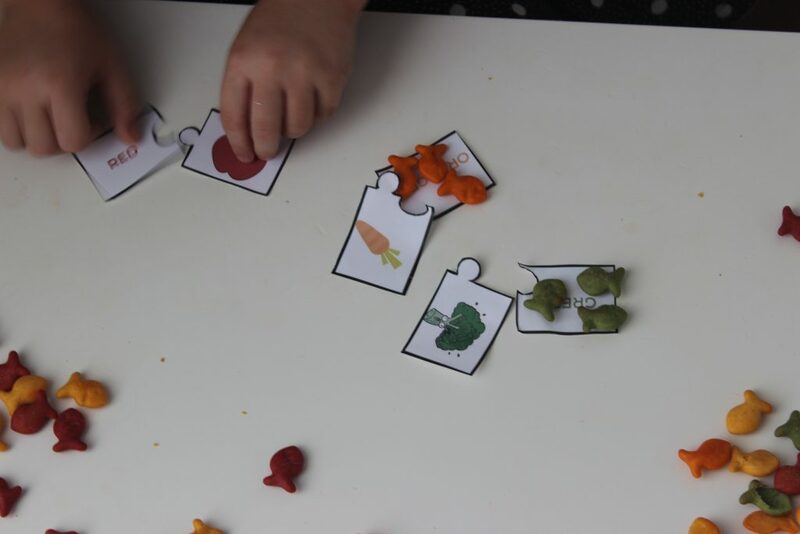 I use these fun puzzle pieces to help with word recognition and help teach about fruits and veggies. 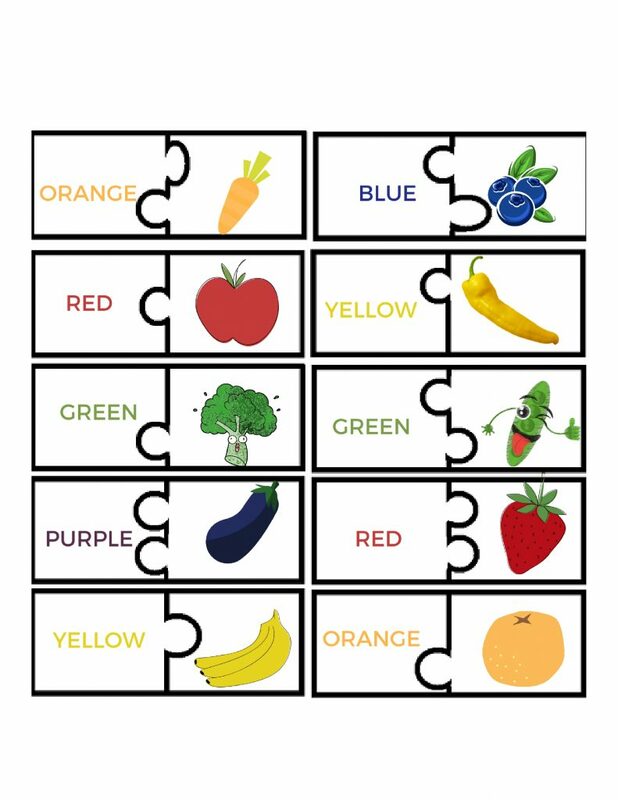 They find the word (printed in that color) and matches it to the corresponding fruit or veggie. 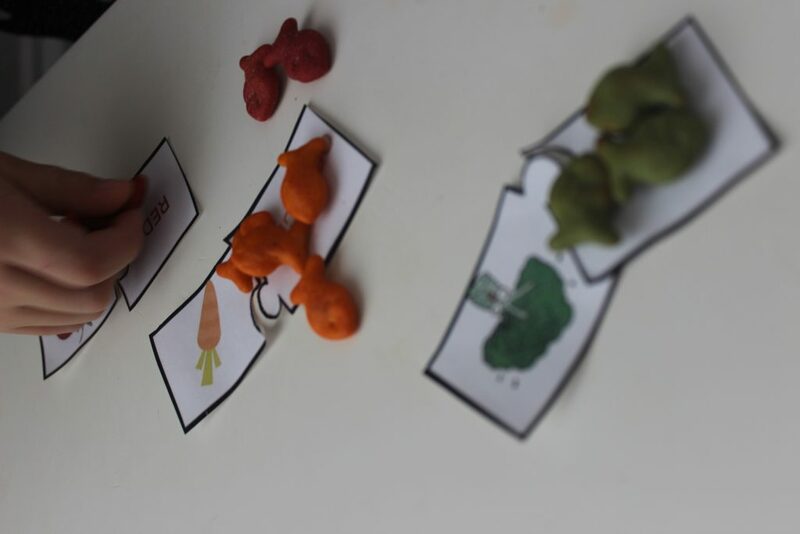 Kids love this game and we use this opportunity to talk about where our fruits and vegetables come from and how important they are for our bodies. 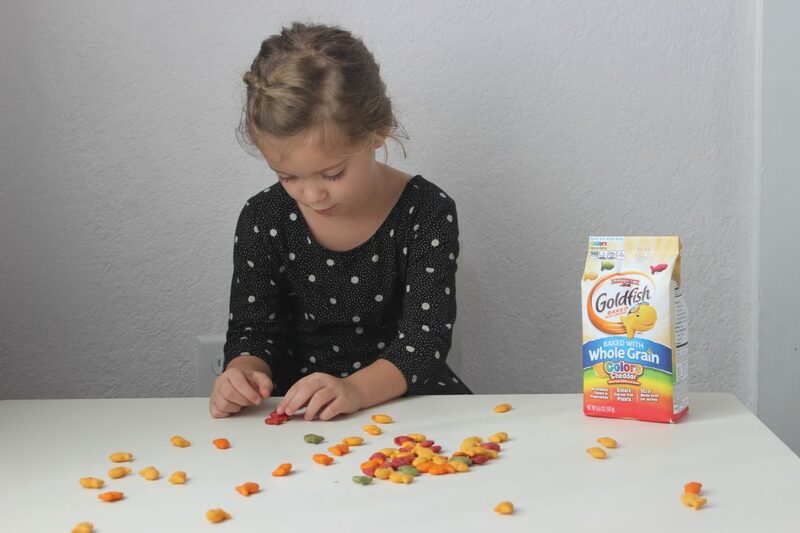 We love these Goldfish color crackers and you can see how they work seamlessly into our daily lessons. 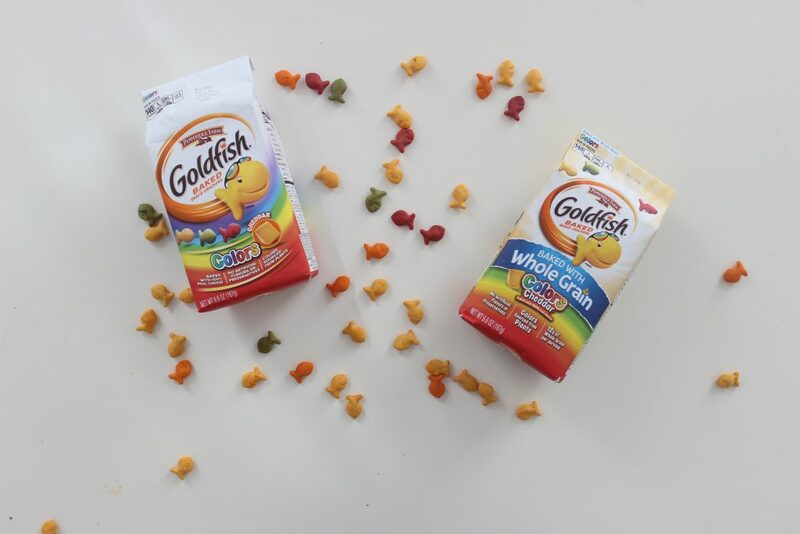 Did you know that the colors in these Goldfish are sourced from plants? How cool is that? From beets and peppers to Watermelon and Tumeric, you can feel good about whats inside your kids snacks. Plus 100% real cheese. My girls love Goldfish color crackers and I love giving it to them. To celebrate, Goldfish is giving fans the chance to “vote” for their favorite color to get its own limited edition bag at select retailers this spring. 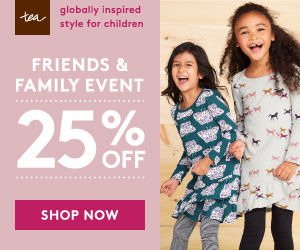 What activities do you do with your kids to teach them colors? I would love to hear your suggestions below. I love this, I never thought about this. I am definitely going to try this with my son he will love it. I can see where using the different goldfish to do fun work activities. Plus they get to eat the results it is a win win. 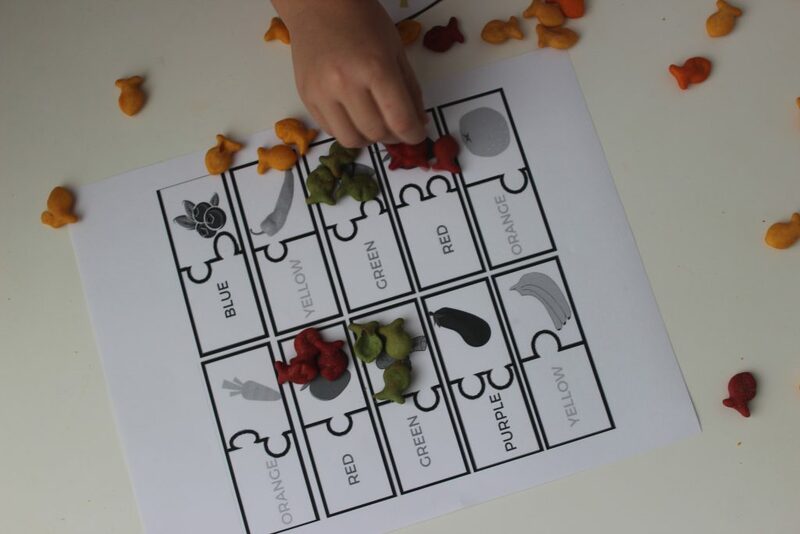 What a fun and educational way to incorporate learning and snack time!! I LOVE me some Goldfish and feeling good about what I’m eating. I had no idea that was how they colored their fish!! 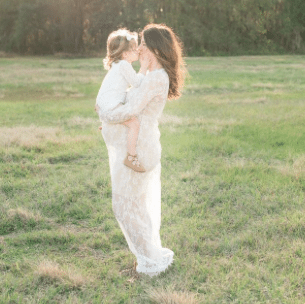 Oh my gosh – what a creative idea! And I had no idea that they colored the fish naturally. That’s so wonderful! 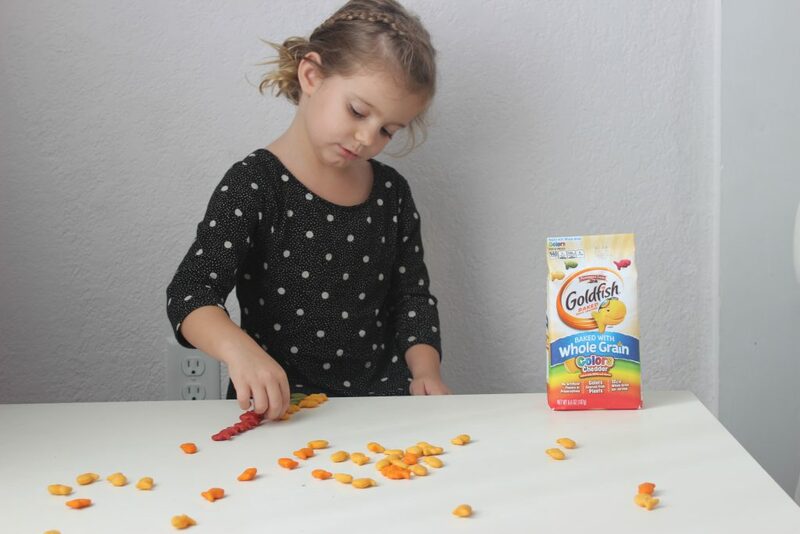 Very clever ideas with goldfish! My younger two kids are in 1st and 4th, and Goldfish are still their favorite snack!